DR18 PVC Non Pressure Fittings are specifically manufactured to be used on non pressure DR35 and DR26 sanitary and drainage systems. They are available in a variety of sizes and configurations. They are reinforced to SDR18 thickness making them 100% thicker than DR35 and 50% thicker than DR26. 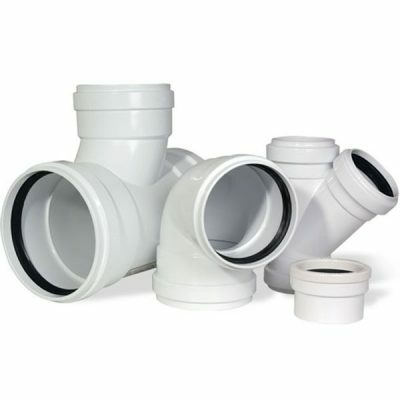 DR35 PVC Non Pressure Fittings are specifically manufactured to be used on non pressure DR35 sanitary and drainage systems.